My older brother would run away from the dining table if ladies finger was served in any form. The younger one wouldn’t eat mint, coriander leaves, curry leaves, spinach and anything and everything leafy! He doesn’t like half the vegetables and survived on curd rice and potato wafers for a long long time. Don’t ask me how, but he did fine! And me, I was the only one among the three of us who would eat what is served in the plate. I guess my parents were just plain lucky with me just like I am with my son. Most of the times, he just eats what is in the plate, as long as it’s not spicy. 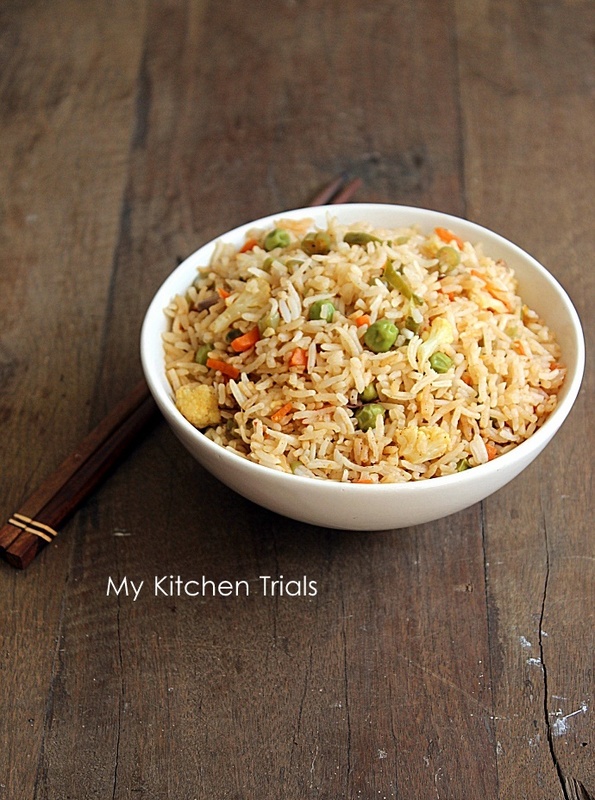 And this fried rice, though slightly spicy (the chillies were too hot! ), were devoured without any complaint from him. He had it with some ketch up on the side and me and my husband had it with Gobi Manchurian gravy style. 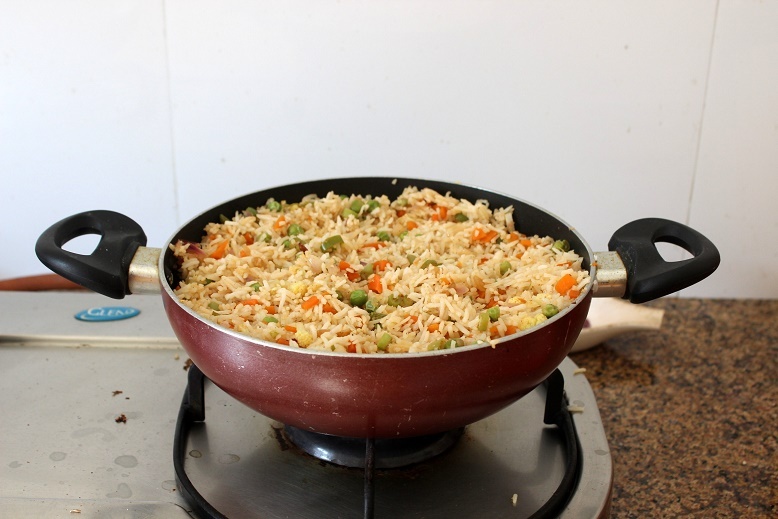 Cook rice and keep aside. 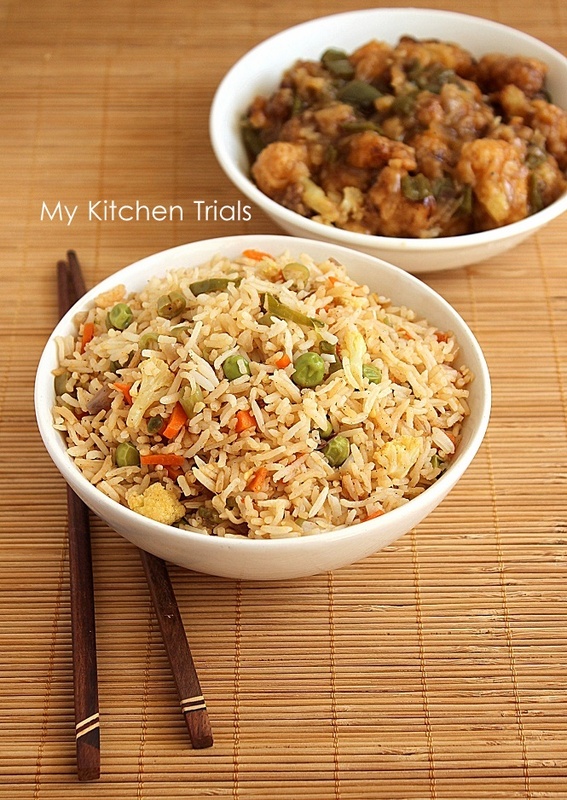 You can use 3 cups of water for 2 cups of rice. If you are using pressure cooker, you can wait for 1 or 2 whistles. Rice cooker gives better results than pressure cooker, though. 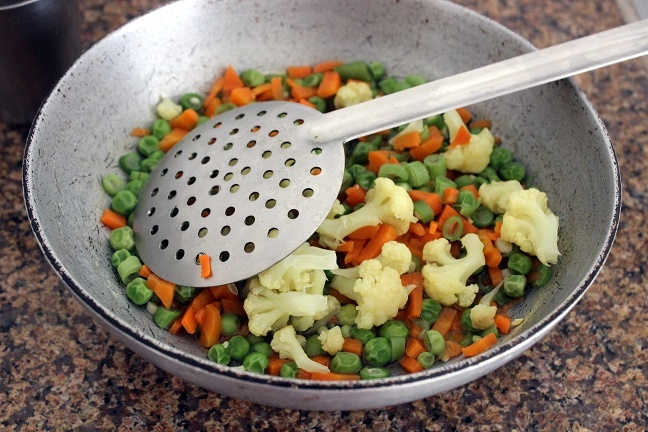 Cut the carrot, beans and cauliflower into small pieces. 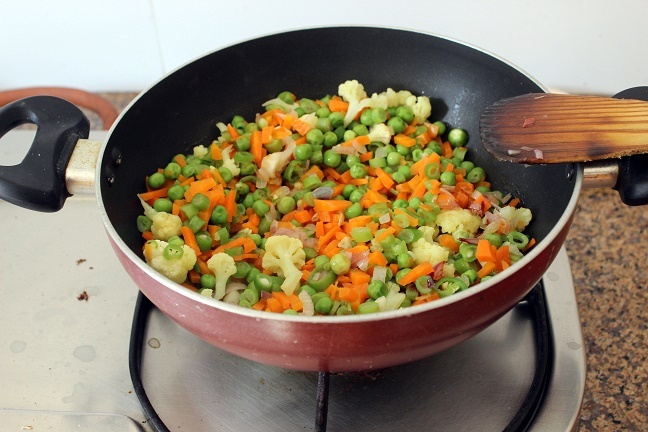 Cook with enough water or steam cook carrot, beans, green peas and cauliflower. Once done, drain and keep aside. 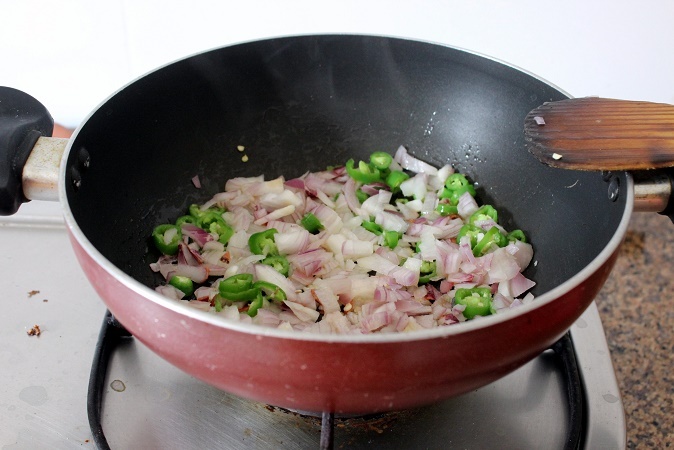 Chop the onions(or spring onions) and chillies.Heat 2 tsp oil in a pan and sauté the onions and chillies till done. 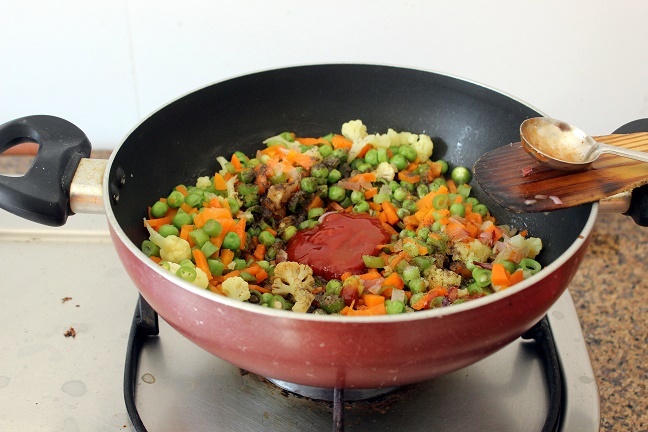 Once the onion turns brownish, add the cooked vegetables. Keep your sauces and seasoning ready. 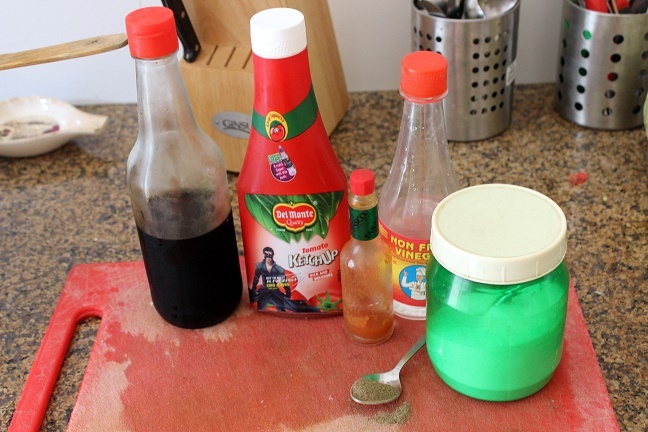 Add the ketch up, soya sauce, chilli sauce, vinegar, salt and pepper. Mix until well combined. 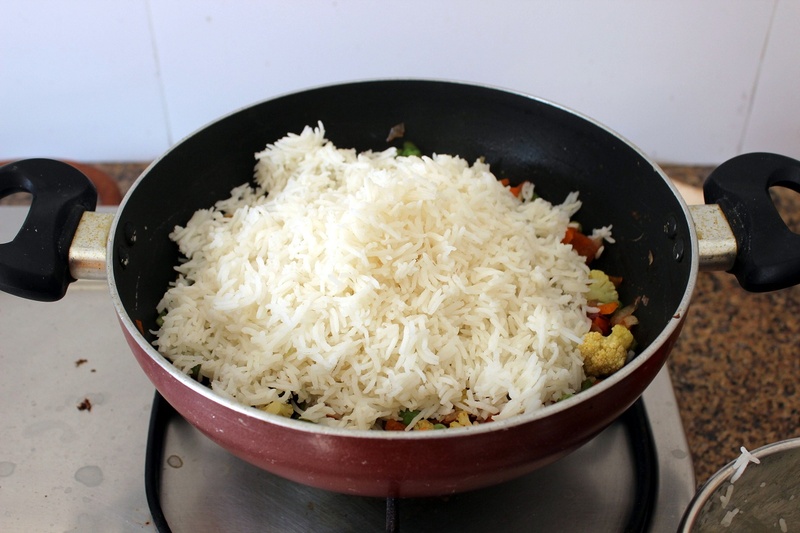 Add the cool cooked rice. Mix well. Take off the heat. 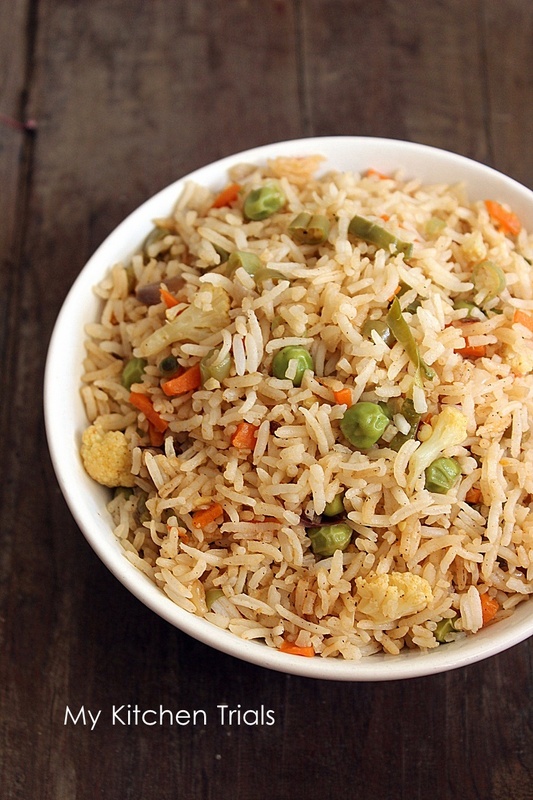 Fried rice ready!! 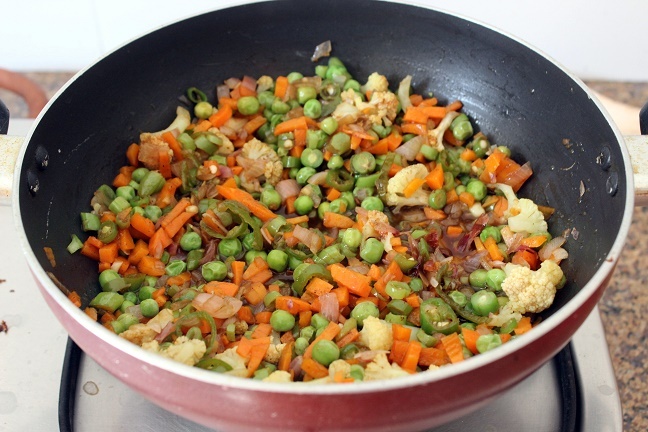 Serve it with Gobi Manchurian, dry or gravy.